A banner stand from Thompson Kerr Displays, are ideal for trade show displays, marketing events and retail environments. 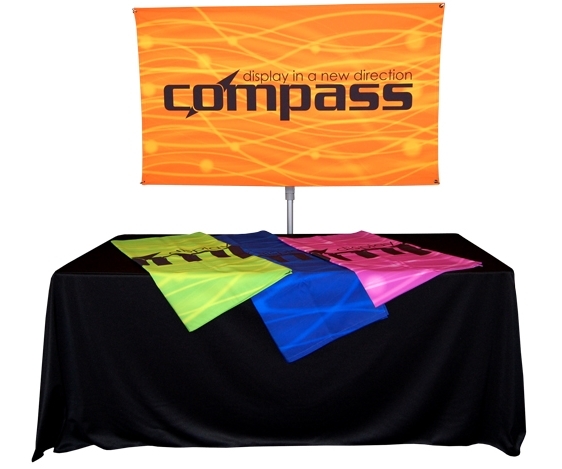 There are many types and sizes of banner stands to choose from, depending on your need. 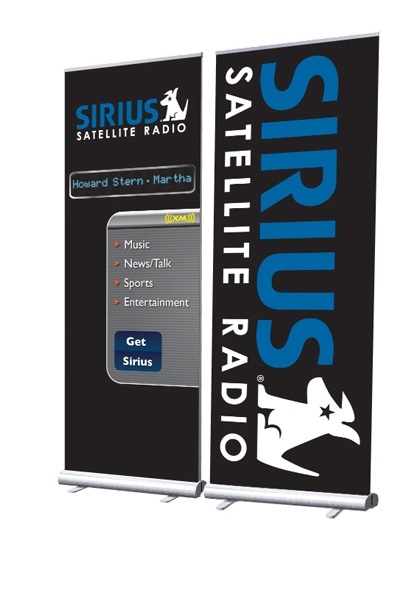 Out premium Retractable banner stands are quick and easy to setup, taking less than 1 minute. Usually all that is required is extending the pole and raising the banner. 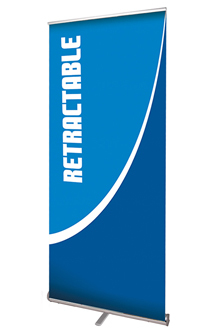 Retractable banner stands also protect the printed graphics during transportation because they are stored in the base. These retractable banner stands are sold with printed banners and carrying bags for portability. Banner Stands also work well with other trade show displays. 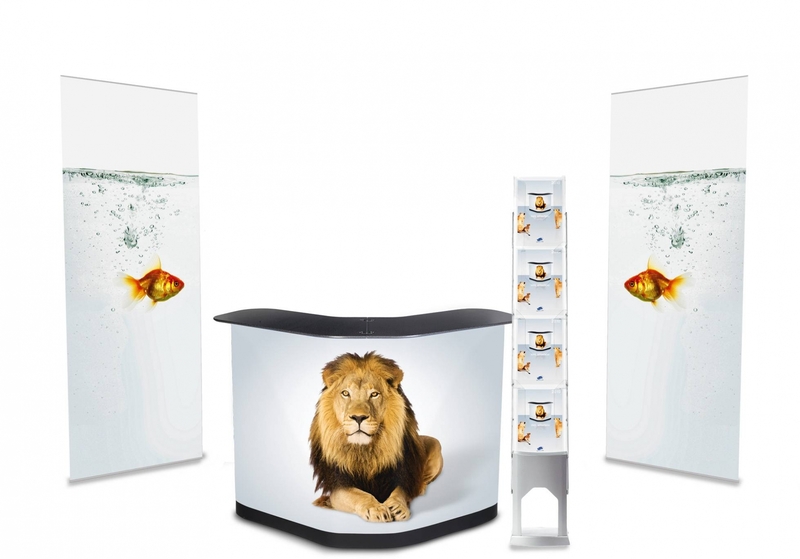 Add a banner stand to a pop up display or custom modular display.